In what is looking like a summer for comebacks, Ashanti and Ja Rule have announced they’ll be joining forces to co-headline a tour. The announcement comes following the success of their string of sold out dates this past spring. The 11-city trek will kick off on August 25 in New York and wrap up in New Orleans on Sept. 10. The national trek also includes stops in major cities like Atlanta, Los Angeles and San Francisco. 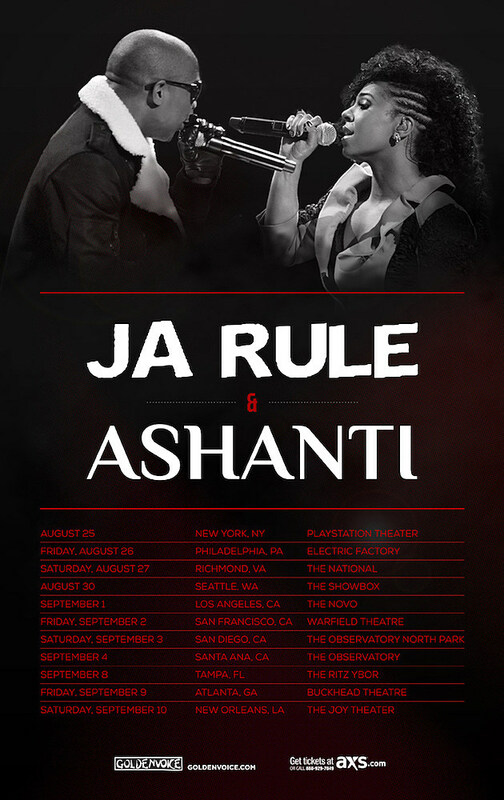 Ja Rule took to Instagram to share his excitement about the tour news.